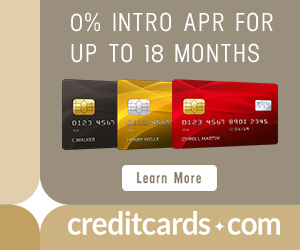 I was expecting to suggest the Citi® / AAdvantage® Platinum Select® MasterCard® with 50,000 bonus American Airlines miles after spending $3,000 in the first 3 months or the US Airways card with 50,000 bonus miles after first purchase also. After all, I had suggested the American Airlines card to everyone as the Way to Get to Machu Picchu with Miles. But as is often the case, I ran a quick search to see what award space I could find. I ended up finding award space every day in July to Lima, but not with American Airlines miles. There is award space every day for two passengers from IAD-LIM, usually with an option to connect in El Salvador, flying TACA/Avianca, or Panama City, flying Copa. It is easily searchable and bookable at united.com. Each way is 20k in economy and 35k in Business, so opening one card is enough for one way in each cabin. Most days have economy and business class award space available. United isn’t releasing Saver space on itineraries via its daily flight from Houston. Instead, you fly on Copa and TACA/Avianca. The return offers the same kind of itineraries. 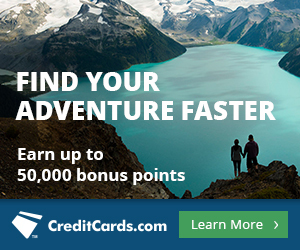 The best card to get United miles is the United card. Right now the public offer is 30k miles after $1k spending in the first three months plus 5k miles for adding an authorized user. If you log into your United account, you may get a 50k offer after spending $2k in three months instead plus the same 5k miles for adding an authorized user. If you don’t get that offer, you can probably get matched to that offer by applying for the public offer, then writing Chase a Secure Message saying you saw the 50k offer (it has been at Houston Airport in the last month) and asking to be matched to it. In all cases, the $95 annual fee is waived the first 12 months. If you get the 50k offer, that should be 57,000 United miles after spending $2,000, which is enough for one way to Peru in economy and one way in business class. Bri and her friend can get to Lima next July for under $100 in taxes by opening one credit card each. It wasn’t the card she (or even I) expected to suggest. This is a cautionary tale to always start at the end and perform an award search before you apply for a credit card. Or just have me do it for you with a Free Credit Card Consultation. I have had some issues with getting my United miles posted. I did the spending for the 30,000 point offer but nearly 60 days after, miles still not posted. I also did the secure message asking for the 50,000 points and was refused unless I can produce an offer code. Does anyone have the code from the offer found at the Houston airport? I phoned the rewards line and they said points can take up to 8 weeks after meeting the spend. Hoping I wil still be able to find award space for a trip to Belize in March! Good lesson on planning well in advance.